‘The Nuck Stops Here’ is a Vancouver Canucks news and opinion column running every Sunday throughout the season. Vancouver, B.C. – The Vancouver Canucks announced today that walk-through metal detectors (magnetometers) will be installed at all main entrances to Rogers Arena beginning on Tuesday, September 22nd vs San Jose. Fans are strongly encouraged to arrive 15-20 minutes earlier than they usually would, and even earlier if they typically arrive close to puck drop. Fans should also pack light and check their tickets for a suggested entrance that will help them enter faster. The new safety enhancements are part of the National Hockey League’s initiative to standardize security procedures at all NHL arenas. Fans will now be asked to remove all metal objects from their pockets before passing through the metal detectors, which are similar to those used at airports, only faster without the need to screen luggage. Only in unique circumstances will a pat-down or hand-held wands be used, allowing fans to enter the arena as quickly as possible. All bags will also be subject to inspection, as per previous fan safety protocols. These new security measures are consistent with those in effect at all other NHL venues, as well as NBA, MLB and NFL venues. 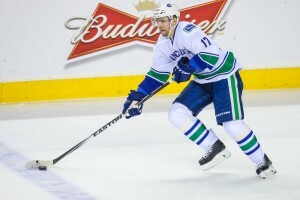 For a list of prohibited items and further information, fans are encouraged to visit Canucks.com/safety. Note To Editors: The Vancouver Canucks are extending an invitation to media to attend a brief demonstration of the new security measures in action on Thursday, September 17th at 9 am. The demonstration will take place through the back-of-house entrance by Gate 16. Security officials will also be on hand to answer any questions. How Will the Top-Six Look on Opening Night? While last season’s top-six was all but set heading into Game 1 (Sedin twins with Radim Vrbata, Nick Bonino between Chris Higgins and Alex Burrows), the situation is a bit muddier leading up to Oct. 7 this year. Although the Sedins will (obviously) occupy two of the three first-line spots, it’s far from determined whether the last one will go to long-time linemate Alex Burrows or 30-goal scorer Radim Vrbata. While you couldn’t go wrong with either one, it’s hard to tell what way head coach Willie Desjardins is leaning on this one, and the same could be said for the situation on the Canucks’ second line. While it’s been widely thought that the second-line centre position is Bo Horvat’s to lose, it’s conceivable that recent-acquisition Brandon Sutter will start off in that capacity, while veteran Chris Higgins and rookie Sven Baertschi will battle it out for the final spot on the wing. For all the talk the bottom-six has gotten for it’s potential combinations, it’s the top-end guys that may be just as interesting to watch. After watching a strong prospects tournament, Canucks fans were left scrambling to pencil feisty winger Jake Virtanen into the bottom-six, and while that might seem fine and dandy, there’s one issue: there’s no room as it currently stands. 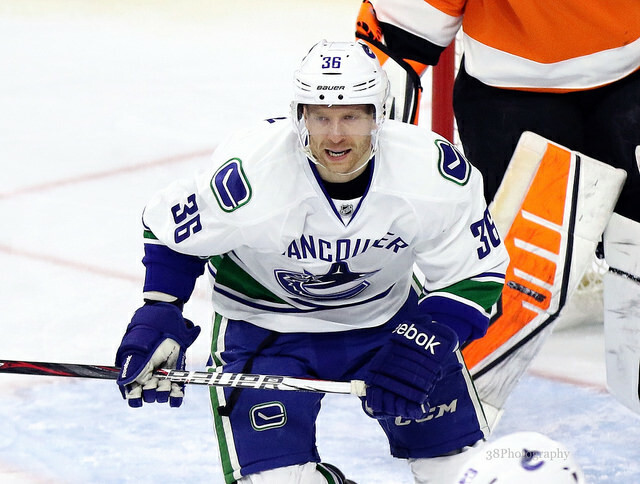 With Chris Higgins, Jannik Hansen, Brandon Prust and Derek Dorsett all occupying spots on the wing in the Canucks’ bottom-six, either Virtanen will be out of the mix, or one of the four will have to go. Should the 19-year old have an undeniably great preseason, they may have to look at the trading market as an option, and Jannik Hansen seems like the most likely candidate to leave Vancouver of the four. 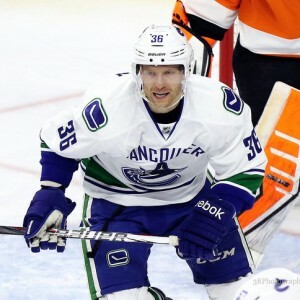 With Higgins being able to fit into the top-six regularly (something Hansen can’t say for himself), Prust costing Vancouver Kassian, and Dorsett being recently extended for four years at a $2.65 million price tag, the only option appears to be the Danish winger who has spent his entire career in the Canucks’ organization. While it may be tough to see Hansen, a fan favorite, leave, he not only closely resembles the style of Virtanen (or other youngsters such as Ronalds Kenins or Alex Grenier for that matter), but would also be widely appealing to other clubs as a bottom-six option.